Arriving a little before 9:00, the Bomb Factory was already packed to the gills as I made my way toward the bar. To say there was a buzz in the air would be an understatement. As the crowd patiently waited through Public Access TV’s opening set, some responded to them favorably, others were non-committal, and dozens squeezed their way through the bodies to grab more beer, hit the bathroom, or god-knows-what. Clouds of vapor smoke and marijuana permeated the venue and the mostly 30-something-and-up crowd talked about what songs they hoped to hear as they waited for the Pixies to take the stage. 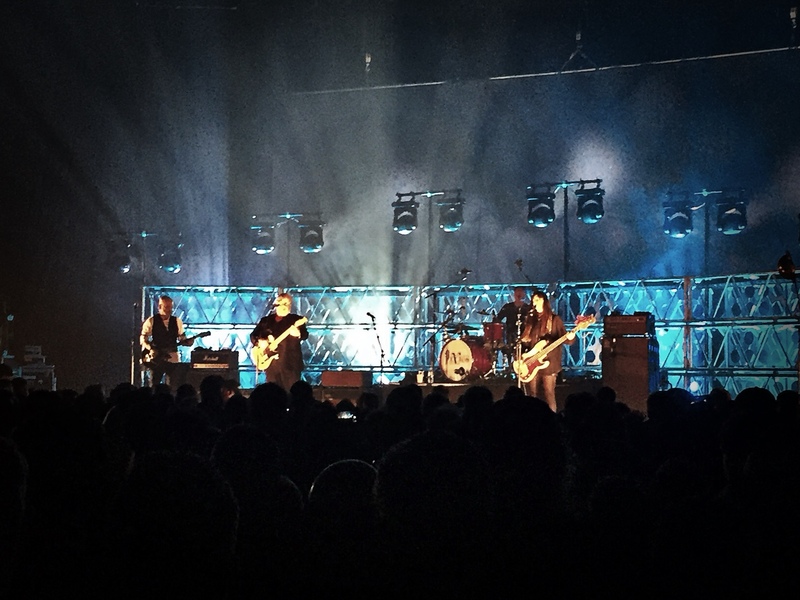 Breaking up in the early 90’s and reuniting in 2003, the Pixies have played more than a decade’s worth of greatest-hits sets. In 2014 they delivered their first new studio work with the multi-EP series Indie Cindy and last year released their first proper studio album, Head Carrier, since 1991’s Trompe Le Monde. On this night they would play seven tracks from Head Carrier sprinkled throughout the more familiar songs of their discography. Perhaps not surprisingly, the newer songs were less well received than classics like “Debaser,” “Monkey Gone to Heaven,” or “U-Mass.” Nevertheless, those new songs retain the Pixies sound we’ve come to know and love, but the lack of familiarity and the hope for “Wave of Mutilation” was apparent. With zero talk between songs, the band hammered through their set with a workman like approach. Frank Black’s voice sounded as strong as ever, Joey Santiago was typically flawless, and the rhythm section of drummer David Lovering and new bassist Paz Lenchantin were locked in. Loverings vocals on “La La Love You” was one of the highlights of the show and while Lenchantin admirably filled original bassists Kim Deal’s shoes, there was little emphasis on the songs that featured Deal’s vocals. The final five songs of the set (“U-Mass,” “Rock Music,” “Head On,” “Tame,” and “Hey”) had the crowd at its most enthusiastic and dying for more. Sadly, after “Hey” the band would take a bow, the smoke machines would shroud them completely, and then they kicked into what everyone was hoping would be a multi-song encore. Unfortunately, it would be only one song, “Into the White” (a b-side to the “Here Comes Your Man” single), and the smoke machines were so intense you could barely see the band at all. Then they quietly left the stage and the house lights came on. Overall, it was a great show. A longer encore would’ve been appreciated, but nevertheless it was the Pixies (minus one) and it didn’t seem that many people were dissatisfied. On the contrary, it seemed that everyone got their money’s worth. There’s plenty of shows left on their tour, though many are already sold out. If you can catch them, we recommend it.